Freddy Hall; Shaun Kelly, Patrick Kanyuka, Tony Whitehead, Shane Tracy; Paul O'Conor, Shane Duggan; Ian Turner, Lee Lynch (Sean Russell 46), Dean Clarke; Vinny Faherty (Darragh Rainsford 85). Conor O'Malley; Ger O'Brien, Kenny Browne, Sean Hoare, Ian Bermingham; Conan Byrne (Darragh Markey 72), James Chambers, Greg Bolger, Aaron Greene (Jack Bayly 78), Morgan Langley; Jamie McGrath. 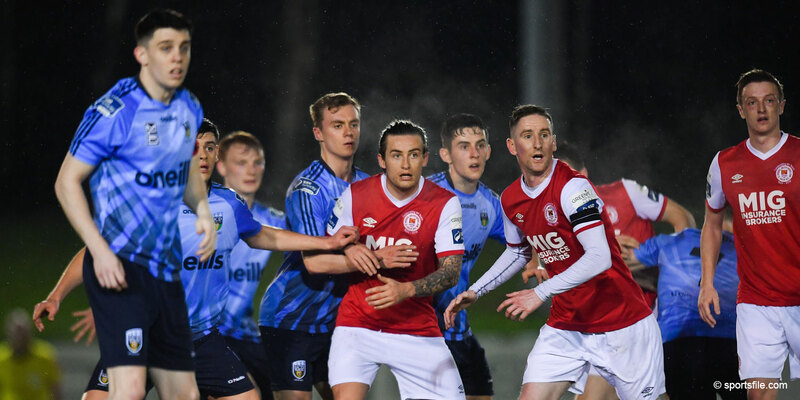 Limerick made it five wins out of six after defeating St Patrick's Athletic 3-1 at the Markets Field this evening, a fourth league defeat in a row for the Inchicore men. Ian Turner's 11th-minute free-kick gave the home side an early lead before Shaun Kelly received a red card after 26 minutes for an off-the-ball incident. Undeterred, Limerick struck just before the interval, a defensive calamity from St Pat's gifting the in-form Vinny Faherty a tap-in, and Turner got his second in the 48th minute. James Chambers' late free kick was mere consolation for the visitors. 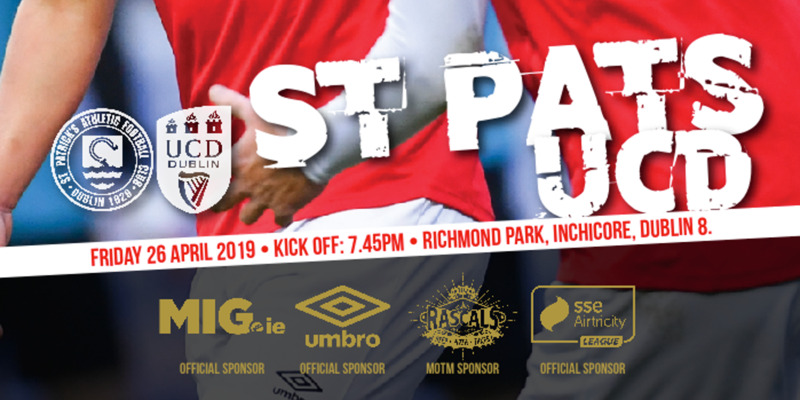 St Pat's made the livelier start and nearly made Shane Duggan pay for sloppily giving away the ball in the seventh minute, leading to a passage of play that ended with Morgan Langley's volley going wide. Freddy Hall was then alert to get to Greg Bolger's floated cross ahead of Jamie McGrath before Turner sent a sumptuous free-kick into the top corner of the visitors' net, although goalkeeper Conor O'Malley will feel he could have made a better attempt to keep it out. In the 16th minute, Conan Byrne sent an inviting cross from the right towards Langley, who threw himself at the ball with an attempted diving header, but the ball had just too much fizz for Langley to make a telling contact. Midway through the first half, Langley crossed for McGrath, who took a touch to set himself and gave Limerick the chance to get back and thwart the young striker. The match could have altered course dramatically a few minutes later when assistant referee Dermot Broughton called Graham Kelly's attention to an off-the-ball incident between Kelly and Langley. The St Pat's midfielder was booked and the Limerick right-back saw red, much to the disgruntlement and puzzlement of the vociferous home support. The remainder of the first half was played almost exclusively within 50 yards of Limerick's goal as Liam Buckley's side poured forward in their efforts to capitalise on their one-man advantage. Langley had the ball in the home side's net after 35 minutes but the offside flag was up. Duggan was then mugged in midfield again by Aaron Greene, who advanced 40 yards before teeing up McGrath, but his shot was straight at Limerick keeper Hall. Greene forced a low save from the Bermudan goalkeeper before, completely against the run of play, Limerick doubled their lead. Dean Clarke beat Ger O'Brien and Greene fluffed his attempt at a clearance, leaving Faherty with the easiest of finishes. The margin widened even further within three minutes of the restart. Clarke crossed to Turner at the back post, the midfielder stooping to head past O'Malley and pile on the pain for shell-shocked Saints. Turner was nearly in for a hat-trick soon afterwards, but O'Malley was out to gather. In the 56th minute, Byrne passed up a decent opportunity to score from inside the penalty area. 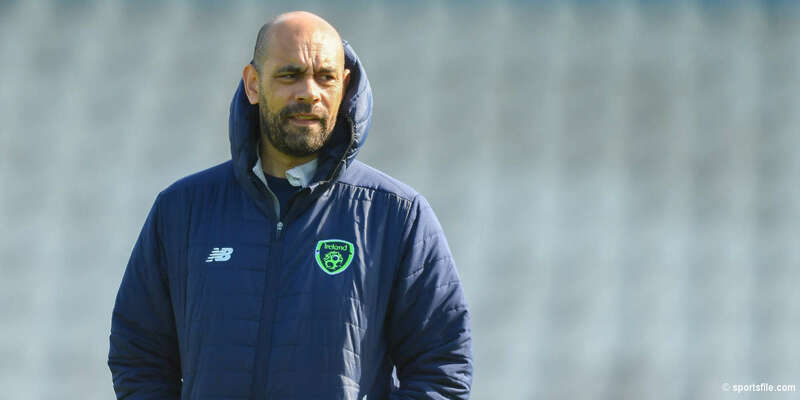 Hall was having an inspired game for Limerick and, in the 64th minute, he produced a stunning save to deny Kenny Browne, with St Pat's laying siege to the home side's goal but sorely lacking in end product yet again. Their frustration was summed up by a wild Sean Hoare effort midway through the second half which was miles off target. The visitors eventually managed to get on the scoresheet with 10 minutes remaining, as Chambers' bullet free-kick left Hall stranded. Substitute Jack Bayly spurned a glorious chance to set up a very nervy finish to the game after 87 minutes, heading against the post and wide from all of two yards. In the end, Limerick held on comfortably for another hugely impressive win and made a mockery of their one-man inferiority for the majority of the game. St Pat's European prospects, meanwhile, have taken a massive dent as they remain fourth in the table.